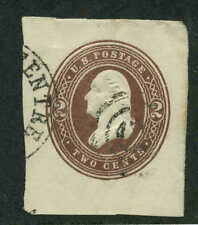 1873 - 15 Cents Brown Daniel Webster Issue. SON Glens Falls NY, Dec 14 1865 cancel duplexed with Bullseye cancel. 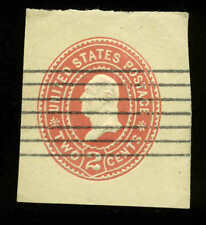 The stamp is mounted in a 4 7/8 in. by 3 1/4 in. 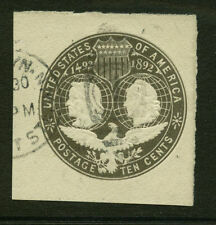 dealer card, sealed in a clear plastic baggie and covered by a folded plain sheet of 65 lb. SCOTTS# K-2 USED 1919 RARE, BARRED OVAL DUPLEX KILLER CANCEL, CERT GRADED 90! A rarity in excellent used condition, grade XF 90. Don't miss this GEM! PO Box 6091 Lincoln, NE. I have been a collector since 1950. I have been a dealer since 1998.